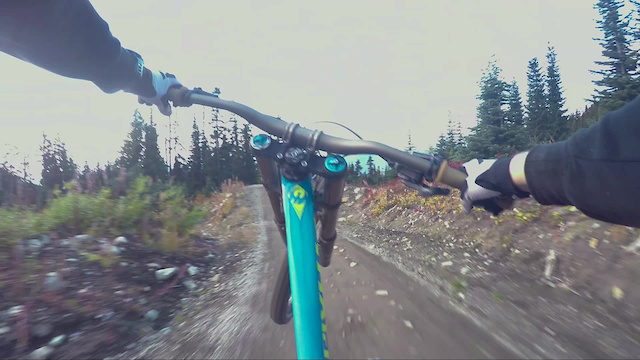 We all love to hit up Whistler Bike Park now and again, but not many can have a better time hitting Dirt Merchant and Ninja Cougar than Bernard Kerr. Bernard chose to hit Whistler on Closing Day to make Just Another Whistler Edit, Kerr style. Yeah, how he did that is beyond me. Wish I had the balls to ride a bike at 10% of his ability. ok im buying a pivot cause of this guy!!! Bernard has got to be the most under rated rider of late. Unbelievable skills! Bernard Kerr = Axell Hodges of mtb? Pure talent, one could only aspire to ride even a fraction as well as Bernard does! Makes it look too easy! What sort of camera was this filmed with? So clean, but prob not a red. That song is dang catchy. Goes along with the video amazingly.